A beloved horse can be as much a part of the family as a cat or dog, so why shouldn’t they get a treat from time to time? 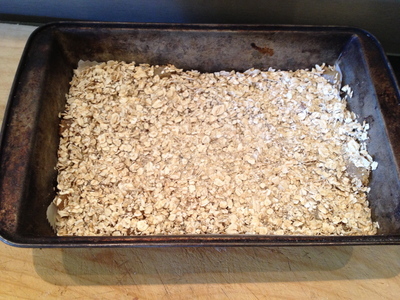 This simple apple and oat bake requires very little attention when cooking, but makes a delicious horse treat for special occasions like birthdays or just to tell them thanks for a great ride. One of the great things about this recipe is that not only is it very forgiving if cooking isn’t your forte, it’s also incredibly versatile. Do you have a horse that has a sweet tooth for pears? Stew some pears with the apples. You can also swap out the golden syrup for that old horsey favourite of molasses. 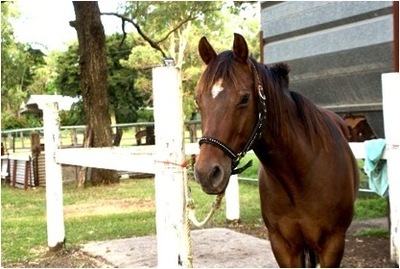 It’s very easy to tailor this recipe to suit your horse’s preferences. The best part about these treats is that they are 100% edible and delicious for people too. Is there a better way to spend a summer afternoon than sharing some goodies with your equine buddy? Ending a long ride with a picnic is a fantastic way to spend some quality downtime with your pony. Don't you want to share a treat with this beautiful guy?